When going through a divorce, there is an abundance of choices and considerations that must be made during the process. This is coupled with the reality that emotions are often running high and making objective choices is not always the easiest. Of the considerations that are made during a divorce, one of the most important is to understand the tax implications of any property or asset you receive as part of the divorce settlement. Your family law attorney will be able to help you along this process and ensure that you are making informed decisions that will place you in a solid financial position as you move on from the divorce. In situations where you are dividing assets amongst each other, it is important to be cognizant of assets that will carry a capital gains tax in the future. Failure to recognize this could significantly devalue the real monetary value of the asset as it pertains to asset division during the divorce. It is also important to recognize the tax classification changes you may undergo following your divorce. Filing your taxes as a single person with less property can often dramatically change the amount of tax breaks you are eligible to receive. Further, depending on how you divide your property, you may also lose interest on your mortgage following your divorce. Many people are not fully aware of how different they will be taxed following a divorce. Speaking with a knowledgeable financial planner and accountant prior to finalizing your divorce agreement is often a wise decision. The divorce process can be an extremely complex and overwhelming time. Struggling to make informed decisions about your future and your financial security can lead to large amounts of stress. Fortunately, a knowledgeable divorce attorney will be able to review the specifics of your case and make objective decisions that will best serve your financial future. 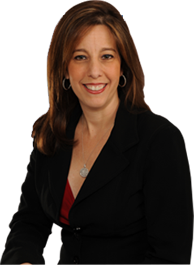 Contact the Fort Lauderdale office of attorney Sandra Bonfiglio today for a free consultation. 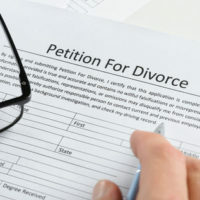 Attorney Bonfiglio will be able to answer any questions you may have and help relieve the stress of the strenuous divorce process.